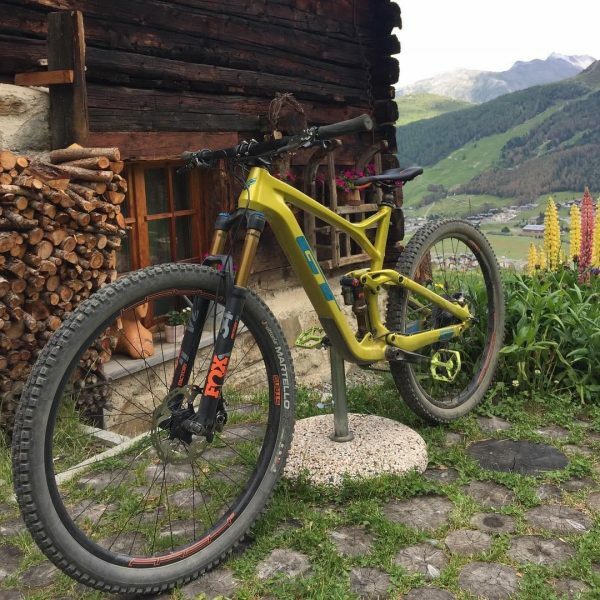 We bring you some rather unfortunate news today, as we report on a whole swag of bikes that have been nicked from Hans Rey in two separate burglaries. Yes, the Hans Rey. It would seem that not even the pro’s are immune to the abominable scourge that is bicycle thievery. 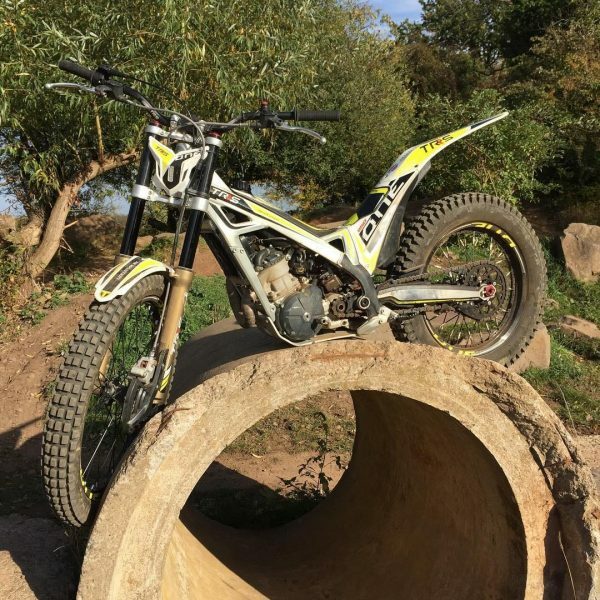 As first reported on Hans’ Instagram and Facebook social media feeds, eight bikes were initially stolen from his East Midlands garage and campervan on November 30th. Those bikes included some very rare bikes, like the Zaskar 100 Hans Rey Edition and Zaskar Trials bike, as well as newer models including a Sensor LTS and Grade. Unfortunately though, that wasn’t the end of Hans’ misfortunes. 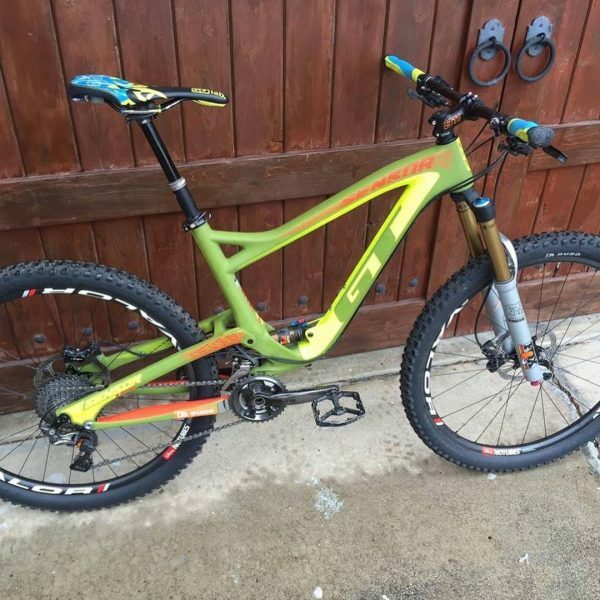 These 8 bikes have been stolen from my garage and camper van in the East Midlands, England. 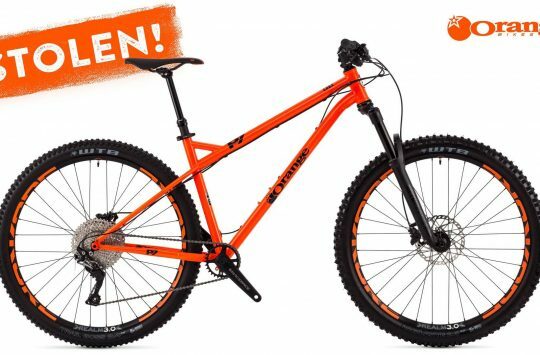 @gtbicycles Sensor LTS, Sensor AOS, Grade, eVerb without battery, Zaskar 100 Hans Rey edition, Zaskar 100 reg. 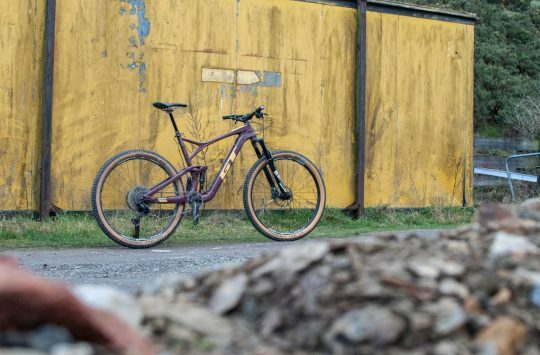 Carbon, Legacy commuter, Zaskar Trials. Having partially secured the premises after the first break-in, Hans’ stepson was planning to block the entrance. But he wasn’t quick enough. 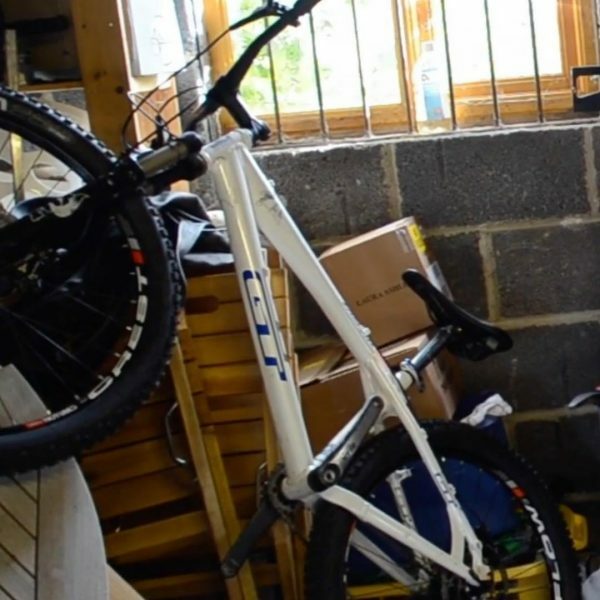 The thieves returned within four hours of the first burglary, before the garage entrance had been blocked, and stole another bike; a GT iT1 gearbox downhill bike, as well as two motorbikes. 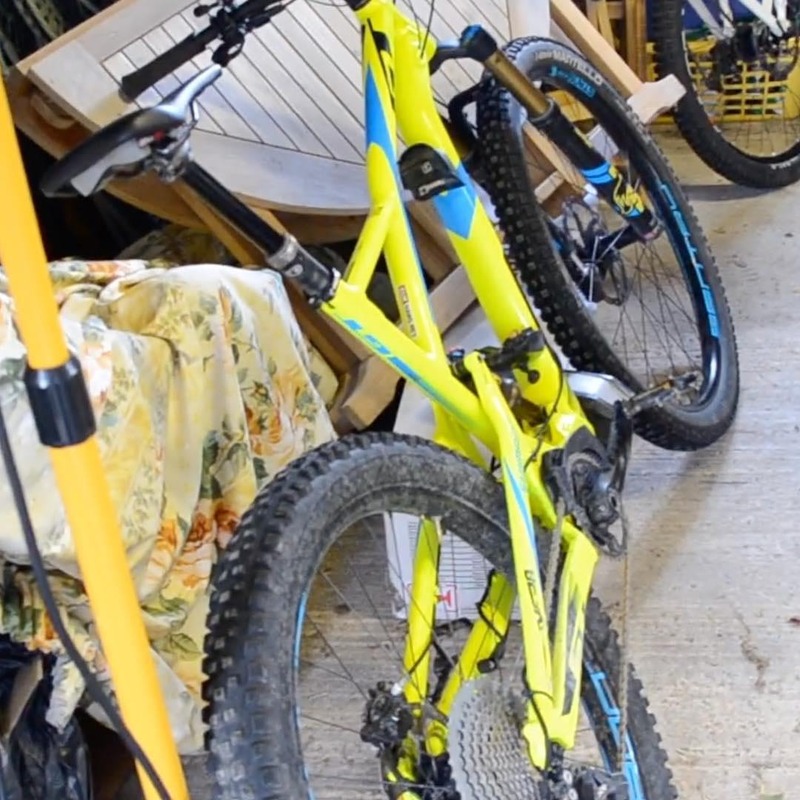 Unfortunately we’re well aware of the torment caused by having a bike stolen – it’s a horrible feeling and something that you don’t wish upon anyone. 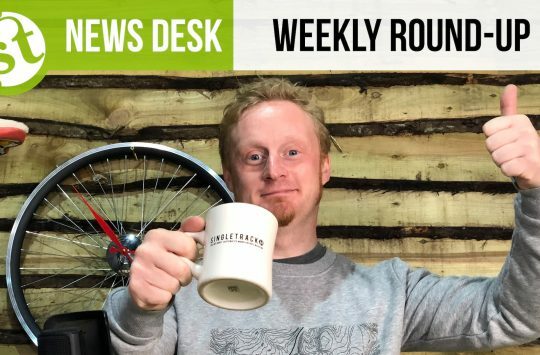 But nine bikes and a motorbike? Several of which are properly rare? That is truly awful. Please keep an eye out for any of the below bikes, and if you can, share this with your fellow mountain bikers so that hopefully some of these bikes can be returned back to Hans. 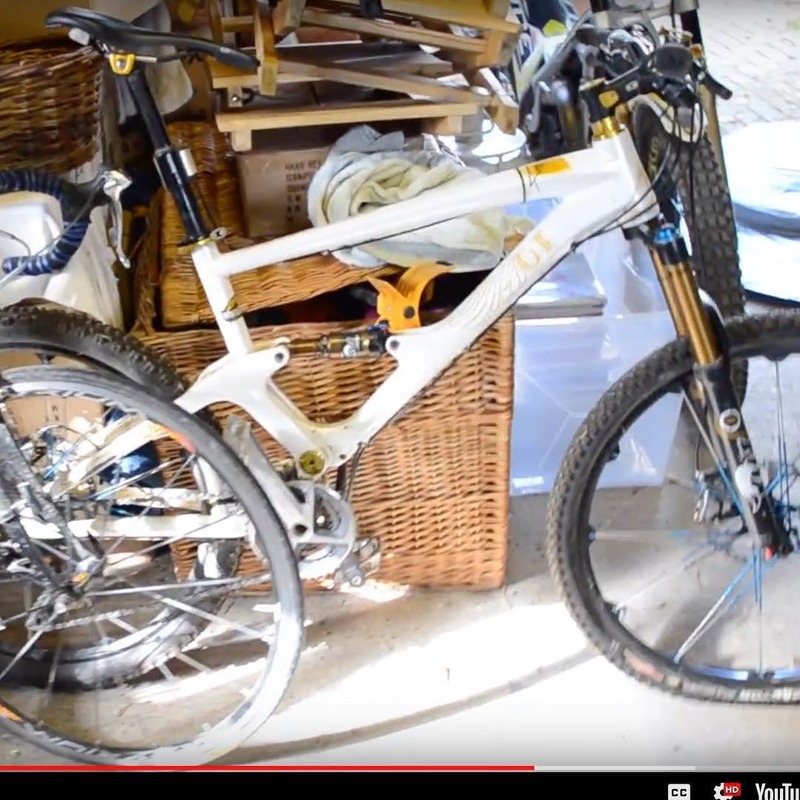 There can’t be many white GT Zaskar trials bikes around like this one. Carbon fibre GT Zaskar 100 ‘Hans Rey Edition’, with i-Drive suspension. That’s GT’s new full suspension e-MTB, the eVerb, sans battery. This is a very exclusive paint job (and build kit) on a carbon fibre GT Sensor. A new 2019 GT Sensor. There’s a grey GT Legacy commuter bike (left) and a GT Zaskar 100 Carbon with gold Crank Brothers wheels (right). Sherco motorbike (back) and a GT Grade drop-bar bike (front). A brand new TRS Motorcycles Factory 250 Trials Moto. And according to Hans “my possible favourite bike, my @gtbicycles it1 gearbox bike”. Feral BASTARDS, a great collection stolen by those who have little or no clue as to what they have on their hands, what with this and Stif Cycles having 14 or so bikes stolen last week it’s about time the industry put their collective heads together and came up with some kind of tracking device, the insurance companies don’t encourage us in insuring our rides, I have 2 Ibis MTB’s and the cheapest I have been quoted for the pair is £960 per annum, total rip off. There’s no defence any more. Short of hiding your bike in a bank vault, if they know tour bike’s location and you are absent, they will take it. 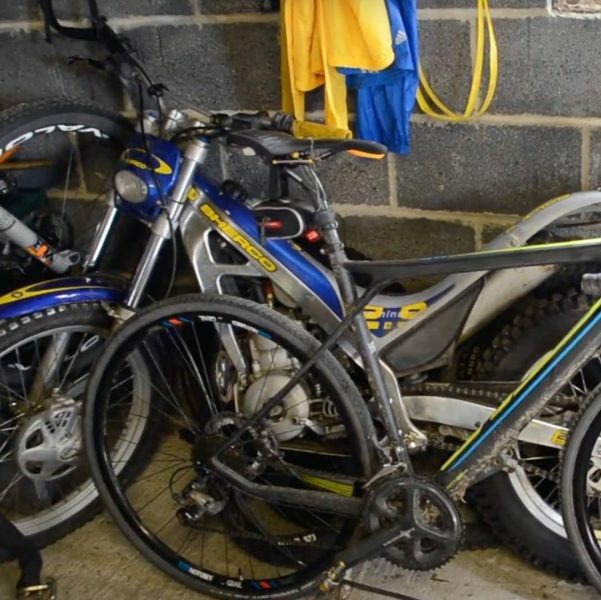 Very sadly, an insurance payout will never cover for loss of a bike with some kind of sentimental value. Gutted for Hans, I really hope that they catch the criminals who did this. 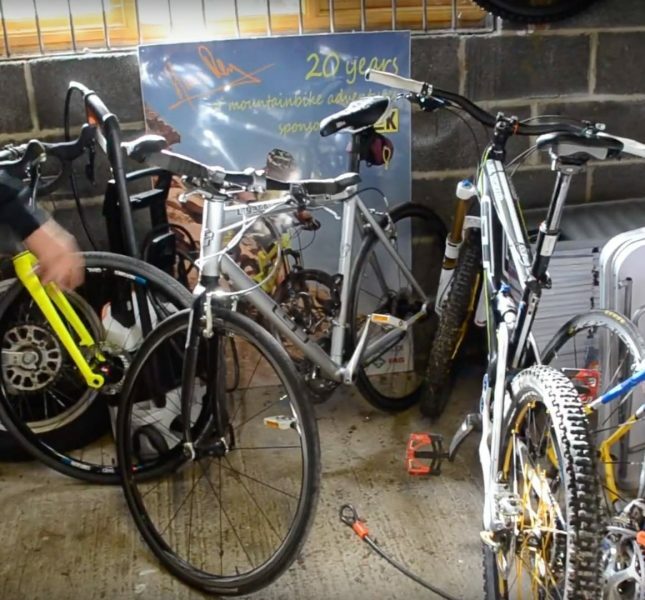 However he was burgled days after releasing a tour video of his garage showing exactly what was in there and the rarity of some of the bikes, then posts on social meadia that he’s away for a week. Some times technology works against us. 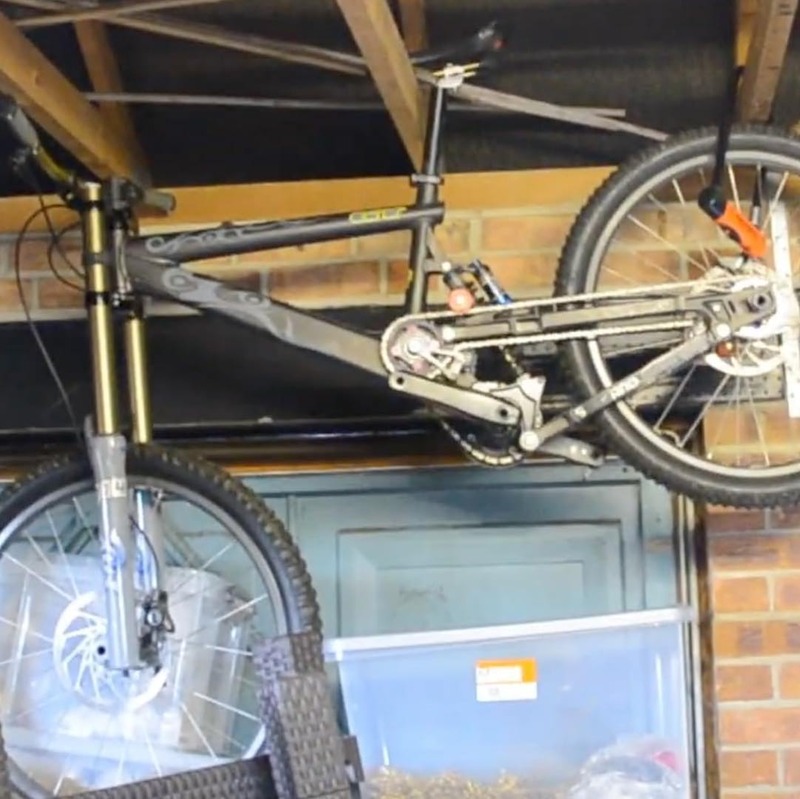 He’s never posted a video of his UK garage bikes before. Only in his permanent residence garage in California. So in this instance, the bikes were stolen from people taking a chance on what could have been in the garage.